Save the date for our annual book review. 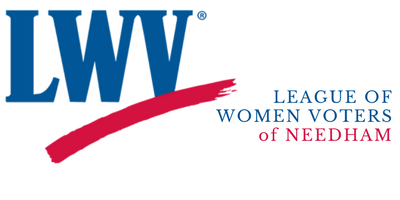 The event is held in a private home, contact president@lwv-needham.org for information. Is our democracy in danger? Drawing on decades of research and a wide range of historical and global examples, from 1930s Europe to contemporary Hungary, Turkey, and Venezuela, to the American South during Jim Crow, Levitsky and Ziblatt show how democracies die–and how ours can be saved. They suggest Democracy no longer ends with a bang—in a revolution or military coup—but with a whimper: the slow, steady weakening of critical institutions, such as the judiciary and the press, and the gradual erosion of long-standing political norms. The good news is that there are several exit ramps on the road to authoritarianism. Please join us! Open to all members. RSVP to Harriet Goldin. Harriet will then send a list of topics from the book for each LWV participant to choose to briefly summarize with group discussion to follow. Note: The book can be borrowed from the library or purchased at Amazon: paperback cost $12.88 or $11.99 for the Kindle version.